Discussion in 'Miscellaneous Reports from Newspapers, Blogs, and ' started by triumph, Apr 11, 2019. 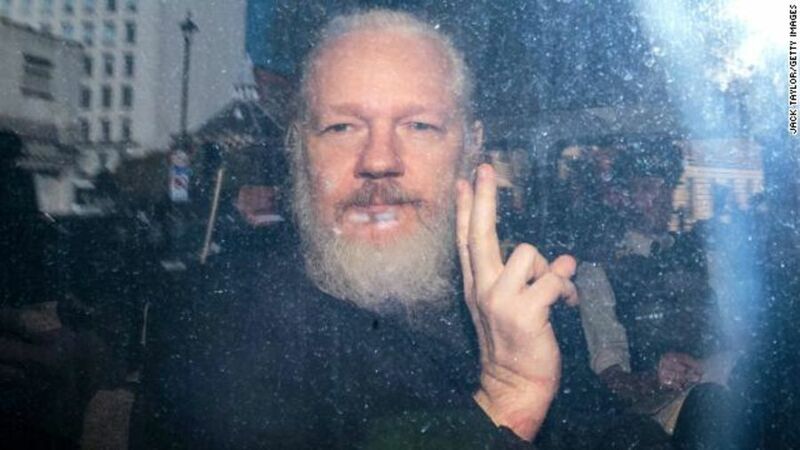 Assange's complicated, almost decadelong case came to a turning point Thursday with his arrest in London and potential extradition to the U.S.
"I know nothing!" 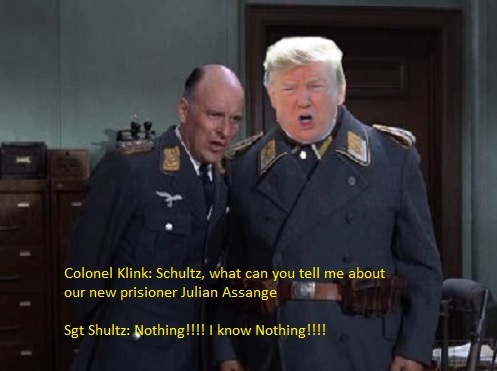 Trump changes his tune on Wikileaks. Just thought I'd save Little David the trouble. It's actually a good response. If he said he loved Wikileaks then they would jump all over it and demand the collusion investigation be reopened. After 2 years of collusion investigation, I would have said the same thing. No matter what he says they are going to effort to make some connection. So he says he knows nothing and that is now a walk back on what he said before. Neutral is the best policy when dealing with media sharks. I’ve seen two interesting theories on Twitter. 1. There is a secret deal in place between the Trump administration and JA. He will reveal evidence proving who leaked the curated Podesta emails. The deal is being concealed by actions such as JA resisting arrest and by Pompeo being mad at him. 2. The Trump administration is going to prosecute Assange for inciting people to steal state secrets. He is a disposable pawn and this will give them the precedent they need to prosecute the media organizations who have been doing the same thing. I think Trump is more likely to go for #1. How to defraud and cheat airlines to get intel, from new docs on Wikileaks. WoW! Huge load of documents! Good discussion points here . . .
That was quite a read. This is an awesome file dump. Here's an apparent LRH reference on asbestos inserted in a 1984 issue. (it's unknown when he originally wrote that piece on asbestos). I'm just posting it here as there was asbestos on the Freewinds. I believe most of these have been released before.